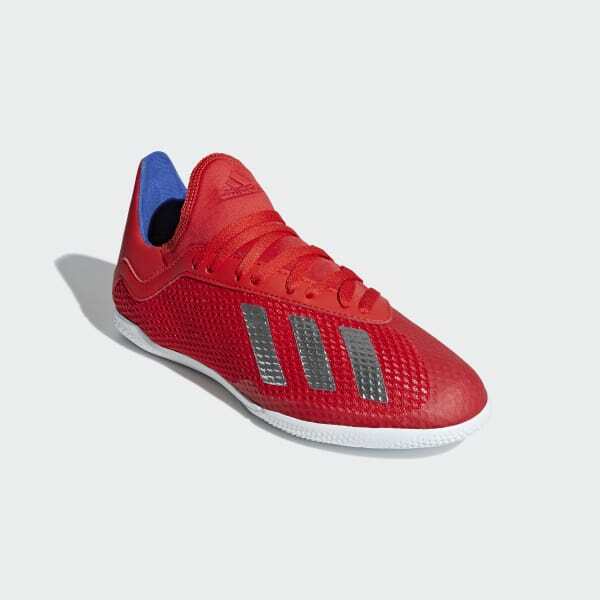 Lightweight shoes reserved for players who run on fearlessness. If you can find an extra gear when your rivals are hitting the wall, you've earned the right to pull on X. 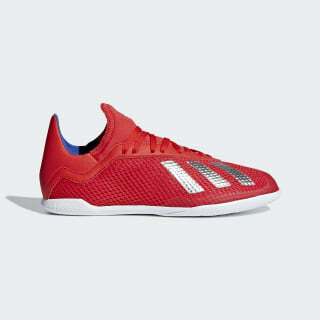 The mesh upper on these juniors' lightweight soccer shoes flexes with your foot for comfort during rapid movement. Perforated to shed weight, the rubber outsole is optimized for flat indoor surfaces. A snug, supportive fit and low-cut collar combine to lock you in for the duration.